BEIJING — Most Asian stock markets were mixed Tuesday after Wall Street declined as Turkey's central bank struggled to contain a currency crisis that is feeding fears about other emerging markets. KEEPING SCORE: The Shanghai Composite Index fell 0.5 percent to 2,771.81 and Hong Kong's Hang Seng lost 0.9 percent to 27,686.99. Tokyo's Nikkei 225 gained 1.8 percent to 22,255.98 and Seoul's Kospi added 0.4 percent to 2,257.65 Sydney's S&P-ASX 200 advanced 0.8 percent to 6,298.30. Benchmarks in Taiwan and New Zealand improved while Singapore, Indonesia and Thailand declined. WALL STREET: A stronger dollar hurt exporters, whose goods will get more expensive abroad. Most retailers were down, but Amazon advanced 0.5 percent. The Standard & Poor's 500 index lost 0.4 percent to 2,821.93. The Dow Jones Industrial Average slid 0.5 percent, to 25,187.70. The Nasdaq composite fell 0.2 percent to 7,819.71. TURKISH TURMOIL: Turkey's central bank announced measures to help its banks, but the country's lira and stock market slid further. The lira has tumbled as investors question whether President Recep Tayyip Erdogan's government can cope with problems including the weakening currency and a diplomatic spat with Washington that has resulted in higher U.S. tariffs. Erdogan has ruled out an interest rate hike, which can slow economic growth, but analysts say higher rates are urgently needed to stabilize the country's currency. CONTAGION FEARS: Emerging markets are falling out of favor due to problems in Turkey and Argentina. 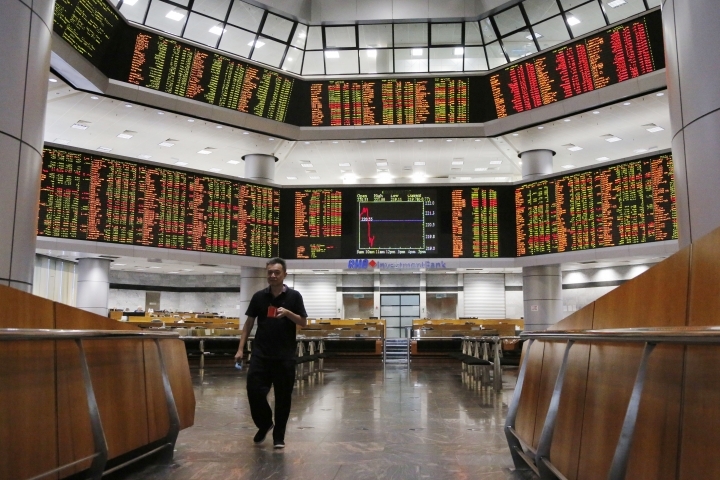 Investors worry Turkey's turmoil could affect the global banking system and economy. The Argentine peso sank to an all-time low amid investor caution and a corruption scandal involving former government officials. Also, rising U.S. interest rates are drawing money out of emerging markets in search of higher returns. 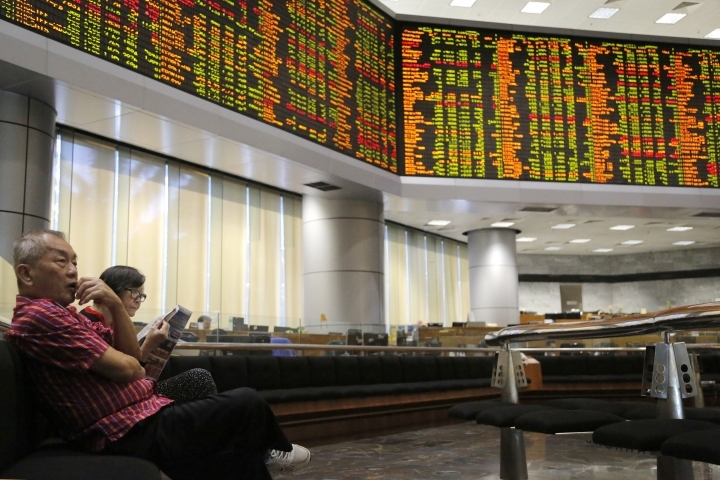 ANALYST'S TAKE: Asian markets were "relatively more resilient " to Turkey jitters than South Africa and Latin America were, said Philip Wee and Radikha Rao of DBS Group in a report. But they said the U.S. tariff hike on Turkish steel at a time of "considerable stress" is a message to emerging markets not to expect Washington's help to "calm their markets" in difficult periods. "Expect more stress if the Fed continues to look past the emerging market turmoil (like it did in May) and keeps to gradual rate hike path," they said. CHINA COOLING: Growth in factory output, consumer spending and retail sales were weaker than expected in July, adding to signs of an economic slowdown. Factory output rose 6 percent over a year earlier, in line with the previous month but below forecasts. Retail sales gained 8.8 percent, down from June's 9 percent. Investment in factories and other fixed assets grew 5.5 percent in the first seven months of the year, down from 5.7 percent in the year to June. Forecasters have expected economic growth to decline since regulators tightened lending controls last year to rein in surging debt. ENERGY: Benchmark U.S. crude gained 32 cents to $67.52 per barrel in electronic trading on the New York Mercantile Exchange. The contract closed at $67.20 on Monday. Brent crude, used to price international oils, added 32 cents to $72.93 per barrel in London. It closed the previous session at $72.61. CURRENCY: The dollar gained to 110.79 yen from Monday's 110.73 yen. The euro slipped to $1.1410 from $1.1411.